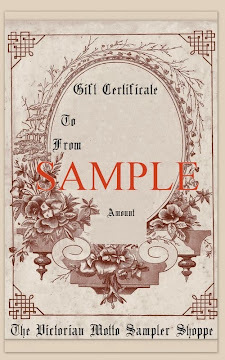 Victorian Motto Sampler Shoppe: Favorite things give-away! Enter now! I will share with you!! Come celebrate my birthday with me! August 14th.....lets have a party! 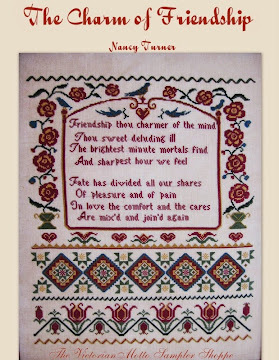 If you have been a follower of mine for a while, then you know I love to share my birthday with my stitching friends. It's my favorite things birthday party!! Tell me your favorite things.....floss? Linen? Aida? 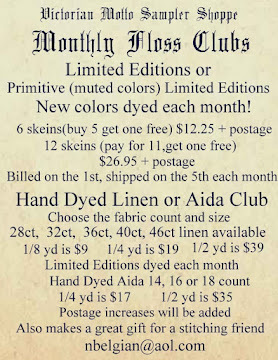 Hand dyed trims? Sewing charms? And your favorite colors!! Drawing to be August 14th so hurry and enter. Two lucky winners will be drawn. Rules: You must post a comment here. Post on your blog or facebook and get 50 more entries! You must be a follower, click to follow by faithful friends at the right. My favorite thing is floss. PINKS of course. I know so many people born in August.......my Mother said it was a long cold winter that year! At 92 she still has a great sense of humor. You're so sweet to give rather than receive. Hopefully you'll be blessed even more on this birthday! My favorite thing, today anyway, would be your gorgeous floss! I am blessed in many ways! Happy birthday! My favorite thing is floss! Greens and purples. Happy, happy birthday! I'm a faithful follower, and my favorite thing from your super store would be floss! My dad and one of my sisters has a birthday this month also! Happy happy Birthday to you! My favorite thing is aida, I can never get enough. My favorite color is purple. My granddaughter has a birthday this month, too. Happy early birthday to you! My favorite thing is floss and my favorite colors are red and blue. Thank you! And happy birthday to her! As I said before, my brother and DIL also have a birthday on August 14th. My favorite things include floss and linen. I love greens and tans. I hope we all have a great birthday! Geburtstag am 14 August, da darf ich ja heute noch nicht gratulieren. Ich liebe Leinen und die Farben grün und rosa. Happy Birthday! My Husbands is also the 14th. I'll have a piece of cake for you too. : ) Mine is the 29th my MIL's is the 8th. Big birthday month for us too. Happy Birthday to all of us!! Thank you! Oh and my favorite things are your gorgeous flosses. Happy Birthday Nancy. My favorite color is green. 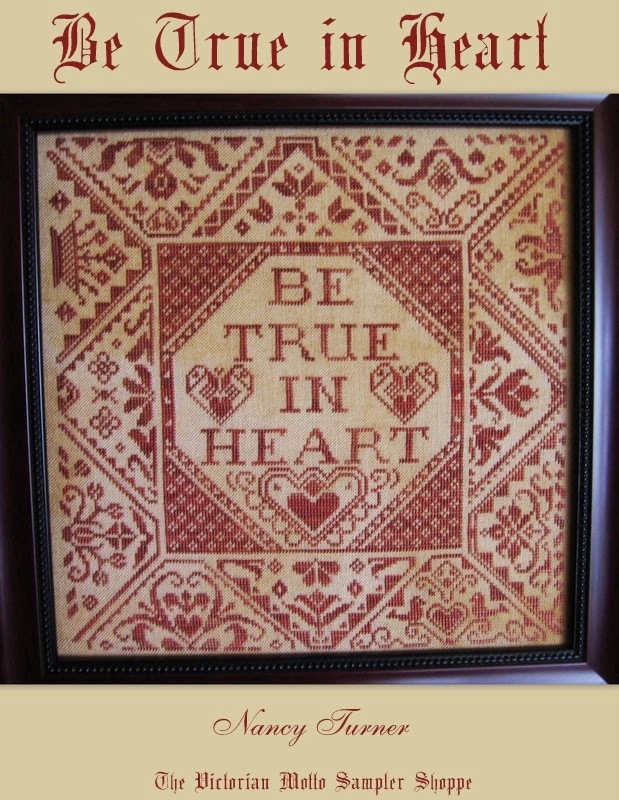 And I only stitch on 14ct aida. I hope you have a fabulous birthday .. 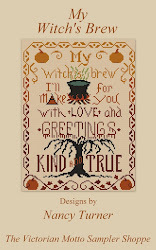 I seem to stitch with Fall colors mostly. 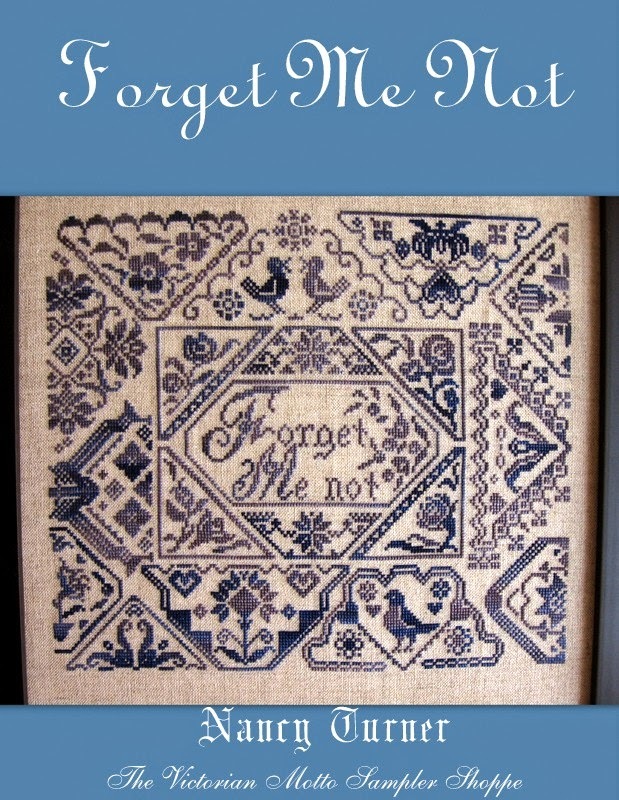 I stitch on 14 cnt Aida but want to venture into linen. please pick a fellow Leo Nancy! I like floss and trim in any colour but brown and black! Just finished making a peach pie for my husband because today is his b-day. 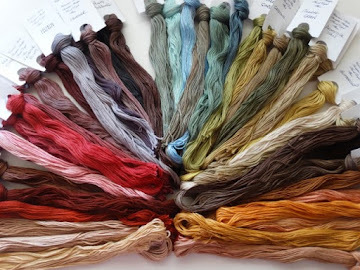 Overdyed floss is my favorite of the list - too hard to pick a single favorite color, just know my least favorites would be yellow, browns & grays. HAPPY BIRTHDAY TO YOU, NANCY, next week!!! Thank you....and peach pie sounds better than cake!!! 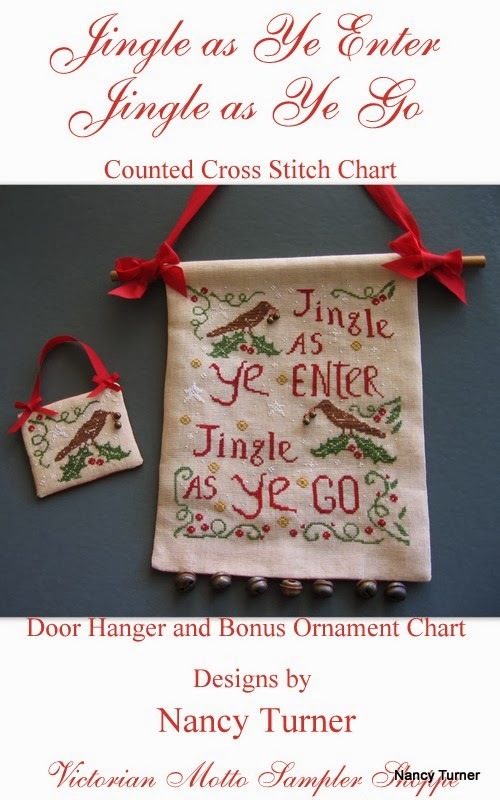 I love your Jingle as ye enter, Jingle as you go kit - it is perfection!!!! Thank you! 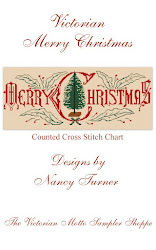 It was a fun design and easy stitch. Happy Birthday! Your designs make the world brighter! Wishing you a very Happy Birthday. I love over-dyed threads in pretty pastels and linen. Here's to a wonderful birthday! I love your overdyed threads and linens. They are so beautiful! I like the natural colors of linen, and all colors of flosses. Happy , happy Birthday . Here is wishing you a day filled with much happiness from beginning to end on your special day, Nancy! 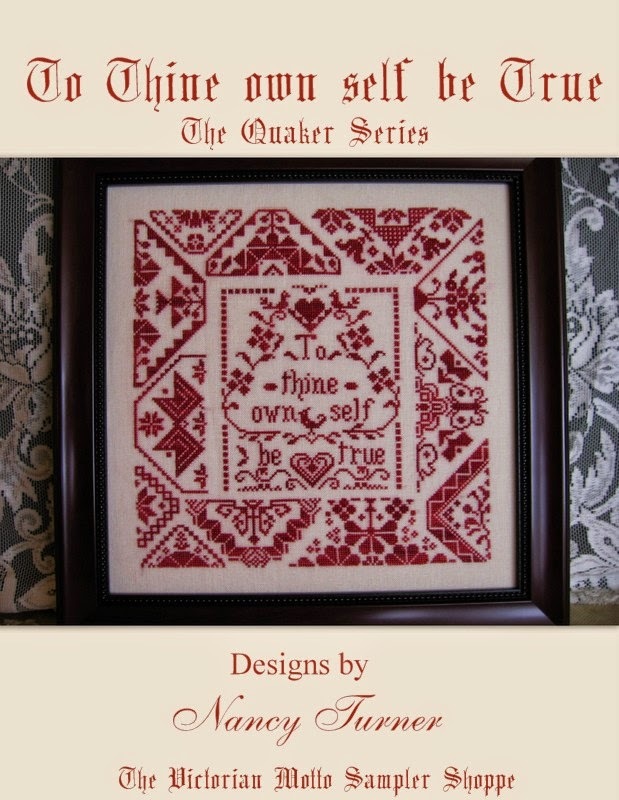 I love your threads and your smaller designs, but your linen is beautiful as well. My favorite color is blue. Many happy returns! I really need some good new aida!So I am taking part!I am a follower!Hope you are doing well! I don't know how you are because I am going to have an operation and I am not really reading many blogs lately!AriadnefromGreece! Thanks so much....and wishing you the best for your surgery. Keep in touch. What a nice way to share your birthday. We almost share the same day -- my birthday is August 24. My grand-nephew's is closer, though. His is the 13th. August is a good month. can I reply to myself ... I hit enter before I was through. 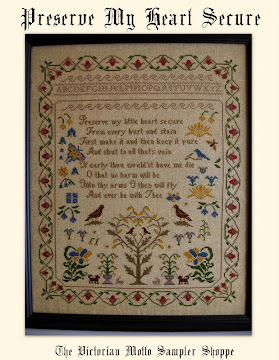 I prefer to stitch on linen, and my favorite colors are the teals, closely followed by the purple family. I've been looking at your pattern, "I"ll put the kettle on". My kitchen is red and it would look great in there. I am a follower and I posted this on FB. My favorite thing (besides full-cream yoghurt) is your beautiful hand-dyed floss, in Blues! Can't have too much blue! Thank you. I truly love to share. Happy Birthday a few days early. August is my husband's birthday month, and while his favorite color is red, MINE is PURPLE!!!!!!!!! I love charms and linen! Birthdays are always special in this house! I've just posted about this on my blog, too! I love birthdays! Hope yours is so beautiful! 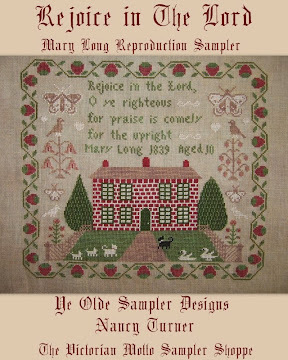 I love all these beautiful things you do , the samplers are great! I love all the floss my favorite color changes weekly! Seriously love colors! This week I'm into the blues. Red is always a favorite too. 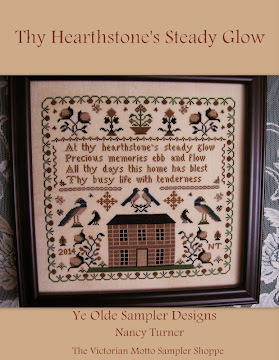 I am fixing to get into doing some sampler style stitchings on linen tea towels for gifts! My post didn't "take" either. 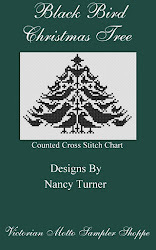 I am a Member/follower at right (Judy M), but follow via email also. It is always fun to celebrate a birthday! 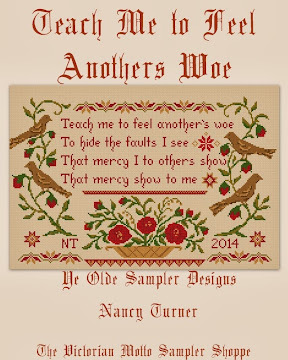 Nice of you to share yours with us, Nancy! Hope it is extra special! I am also posting this on FB. Happy Birthday. I love the sewing charms. And blue is my favorite color. Happy Birthday! 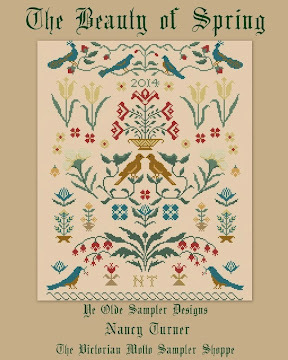 I love samplers, linen and antique color threads. HAPPY BIRTHDAY TO YOU!!!!!! Two of my grandchildren birthdays are on the 19 th. Love all of your items.My favorite shop! Blues are a fave. Your flosses are awesome. The verigated are AMAZING! Well, Happy Happy Birthday to YOU! My hubby's birthday is the 16th. I love, love, love your flosses. And I truly love linen. A fiber addict!!! Happy Birthday! 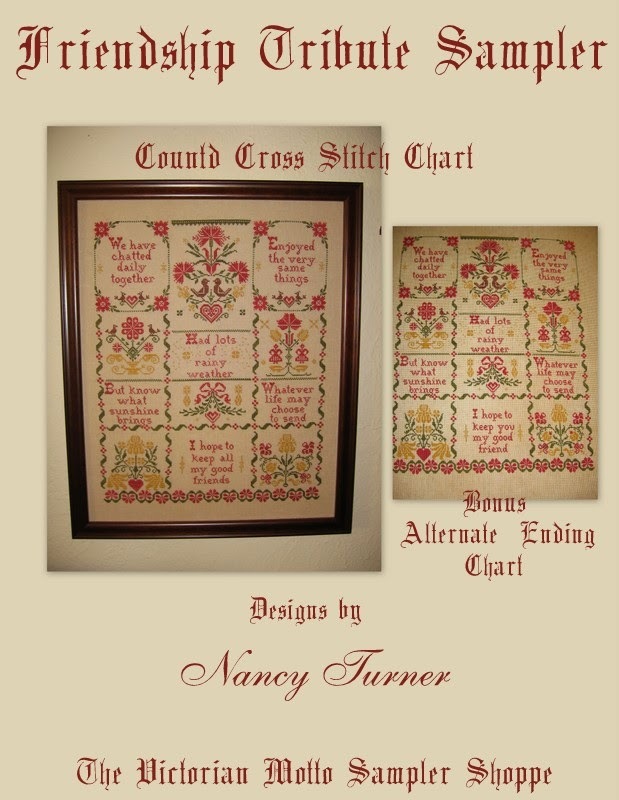 Love two 2 of your "spring" charts - Welcome Spring and Beauty of Spring - floss, and linen. Thank you and happy birthday to all of us in August! Happy Birthday! My daughter has an August birthday, also! 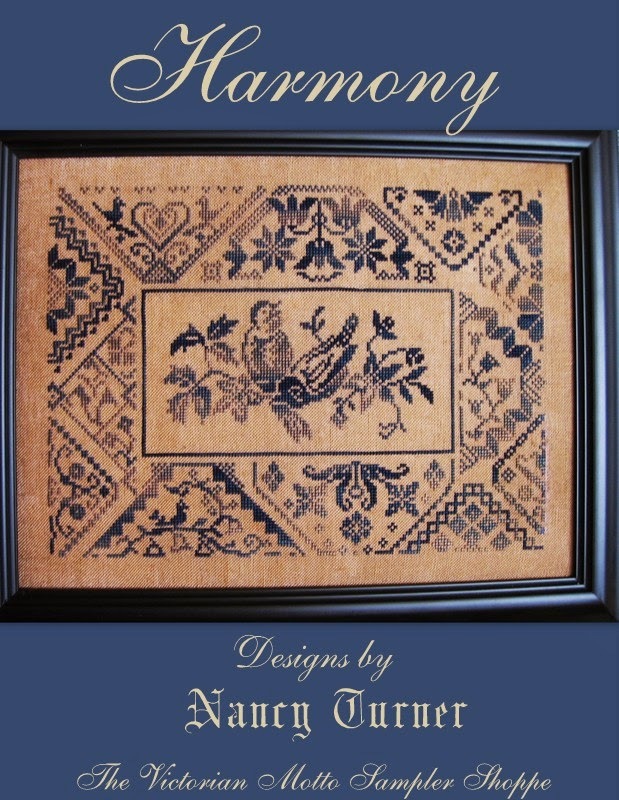 My favorite things- your floss and your Harmony Quaker pattern! HAPPY BIRTHDAY!!!! My sister's birthday is that day!!! My favorite things would be floss or linen!!! Colors of floss would be pink, mauves, dark greens, purples, dark red, navy blue or any color except for coral color. Thank you for the giveaway opportunity!!! It is my birthday month too but i close out the month on the 31st! :) My favorite color is purple and I love aida and your gorgeous floss! On my way to post on FB!! Thanks Faith and happy birthday to you too! Well Happy Birthday to us (and you too)!! My favorite things are your floss and linens. Not picky on the colors. Thanks for the opportunity. Every month is a party with you! Happy Birthday! My favorite things would be your sewing charms. 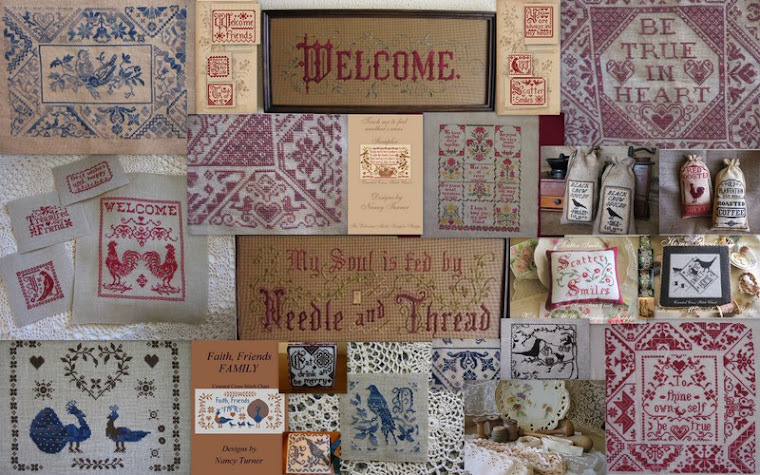 I would like to incorporate more embellishments into my sewing projects. I love any hue of purple. Thank you for your ongoing generosity. 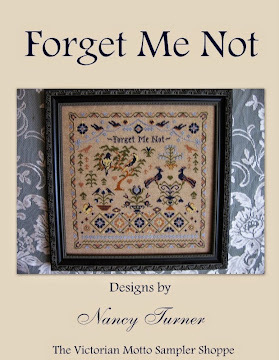 I forgot to say that I have posted your contest on my Facebook page and my blog! Wow! What another great opportunity! I hope you birthday is great as you are! My favorites include lots of things; love red and all the "winter" colors, as they used to say when you picked your clothing. (I am probably dating myself there!) Your threads and patterns are just the best! Thanks again. Your birthday is one day ahead of my baby brother's -- hope you have a wonderful day! Love everything on your site, especially the gorgeous floss. Thanks and happy birthday to you too!! Happy Birthday Nancy!!!! Have a wonderful day! Thanks for the opportunity!!! Sharing in FB. Happy Birthday Nancy! Wishing you a wonderful day! My favorite things are floss and fabric. And these days my eyes have been appreciated Aida. My favorite colors are mauve to purple. I love floss and linen. My favorite color is blue. Have a wonderful birthday! Happy birthday Nancy! 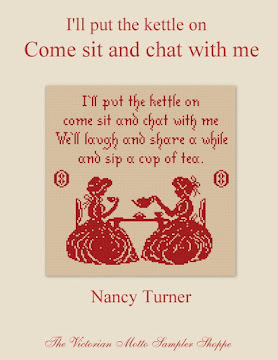 Wishing you a Nancy Palooza week! Enjoy it. Happy upcoming birthday. Mine was the 1st. Have some cake. I did. Thank you! And happy birthday to you too! Thank you! I agree....after you try linen you can't go back. 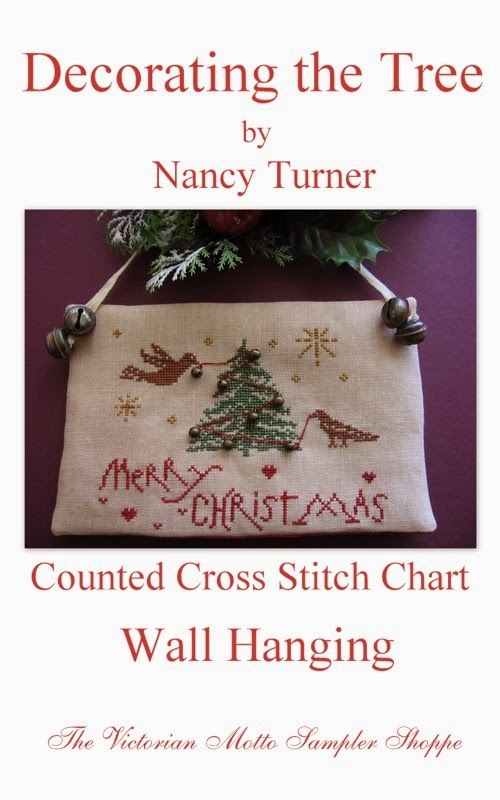 I found it very easy to stitch on linen. Happy Birthday! My favorite things are floss & linen. My favorite color is purple. My cousin shares your birthdate. Happy Birthday! 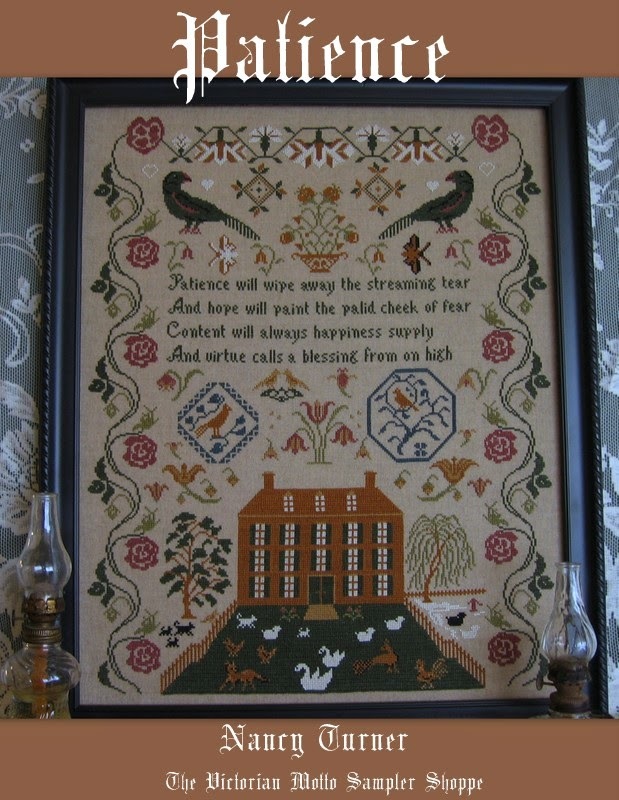 Floss, linen, trims, charms....they are all my favorites! Thank you so much. I truly love to share. Thank you. In September we had my dad and my two sisters all born on the 26th. It was a great party for many years. Nancy, Happy Happy Birthday!! You are a most generous blogger with all of your giveaways. I do love your flosses especially in the autumnal hues. My eyes have reached the stage where they prefer me to stitch on 14 - count aids or perforated paper. I thank you for designing such beautiful mottoes for paper.. Thank you very much. I do love the motto patterns. Another fabulous giveaway! 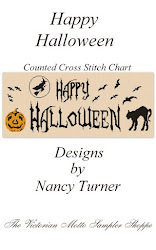 I love your floss, especially in the beautiful fall colors, as well as your fabulous patterns! Please throw my name in the hat. Happy Birthday from one Leo to another!!!! My favorites are linen and floss. I like teal, blues, greens. Happy Birthday!! I would love to enter! I love your trims! Happy Birthday!These last few months for me it has been all about the buttons, trims, and charms and a strange fixation with rusts and browns...Normally, I am all about the blues and purples and aquas! May your birthday be the best ever and blessings multiply each moment through out the coming year. Thanks so much! Glad to hear you are celebrating in August at your house too! 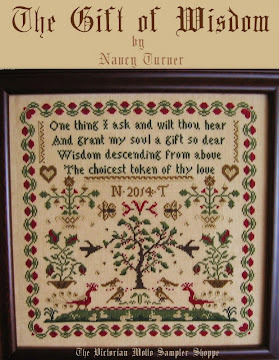 Nancy, I wish you a joyous birthday and thank you for the opportunity to share it with you. 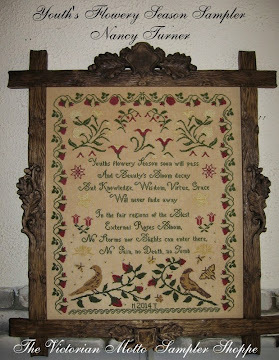 I love the faded vintage primitive colors! 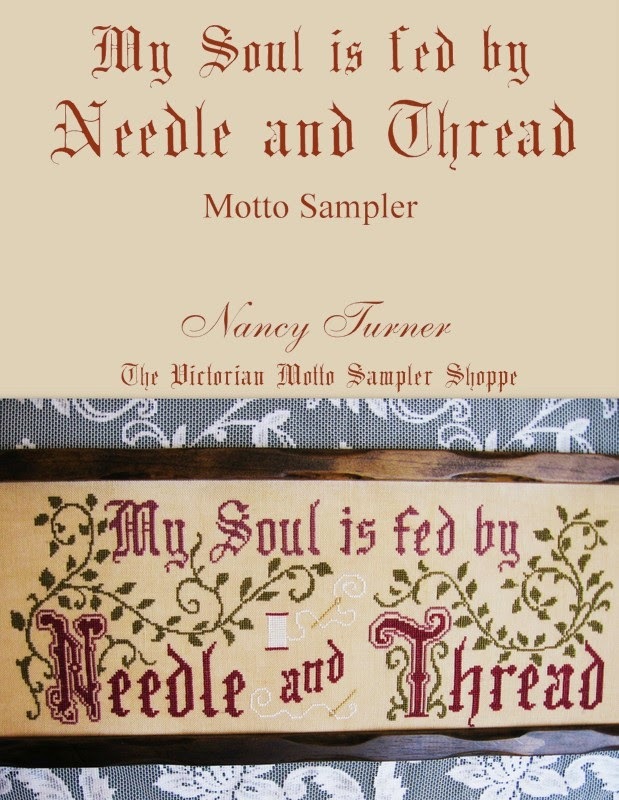 As an incurable stitcher I never have the right size of linen, charms are always exciting, and trims are fun, fun, fun! Happy birthday and best wishes for a blessed year. Birthdays are as lovely as the people who have them...YOURS SHOULD BE SENSATIONAL! How sweet,,,,,,thanks so much Patricia! Happy Birthday Nancy! My husbands is also the 14th. I hope you're feeling well! 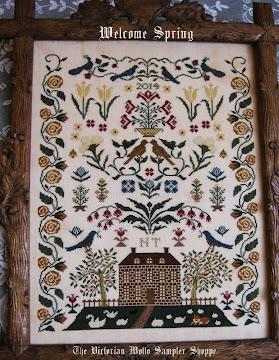 Trims, charms, buttons, floss - it's ALL wonderful! I have to say I just adore your trims. Thank you Jackie! Lots of August birthdays to celebrate. Glad you like the trims. I hope you have a wonderful birthday, Nancy. I love it all so it's hard to pick just one favorite thing. I'll go with floss, though. I've posted to both my blog and FB page and I'm already a follower of your blog. Thanks so much Rita! I hope you have enjoyed the floss you won. HAPPY BIRTHDAY! LOVE ALL RED FLOSS! THANKS FOR SHARING! I love trims and your color sense! Have the very best birthday ever!!!!!!! Just a day before my brother's birthday. He will be 9 this year ... and I am yet to come up with a present ... I'd love to be entered ... I love everything stash related (sigh - I don't think I ever will be a minimalist). And my favourite colour is purple. Thank you for your generosity as always. You are very welcome. Everyone knows I love to share! Yay! Happy, happy day to you! 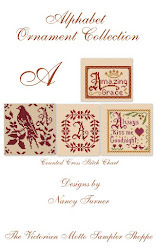 I love your trims in any colors....not fussy when it comes to your lovely things. Posted on FB. Thanks, Nancy, you're a doll! Happy Birthday. Favorite colours are blues / greens. Floss is very nice. August is my busiest month--my middle daughter's birthday is the 15th, my older sister's birthday is the 23rd, my younger sister and brother's birthdays are the 25th, my third granddaughter's birthday is the 29th and my first granddaughter's birthday is the 30th! Phew! My parents' anniversary was the 16th, and that was my first wedding anniversary too... Really busy month, but a good one! Happy Birthday soon! That is a very busy month!! Thanks for the birthday wishes! Have a wonderful birthday Nancy! I just love your wonderful floss! Posting to my Facebook now! How generous! I hope you have a great birthday. 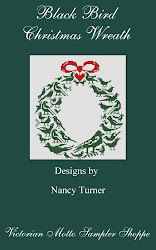 I love charms and trims in Christmas colors. Happy Birthday, Nancy! 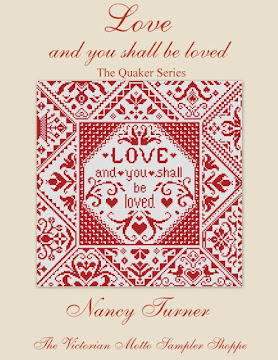 Yes, I love floss & linen & hand dyed trims & sewing charms in a rainbow of colors. Happy Birthday Nancy! Celebrate in every way you can for the next week- no month! I love your flosses, cheniles, and Rick racks - love shades of green and shades of red! 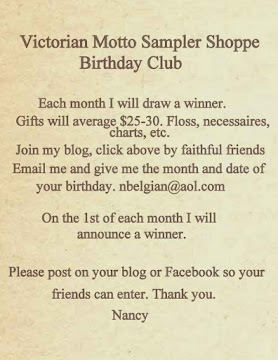 I will congratulate you on the day, just posted your birthday giveaway on the blog. Thank you.....and so nice to "meet" you! Happy Birthday for the 14th. I love hand dyed fabrics and threads. Happy Birthday on the 14th, we are expecting our 4th great-grandchild on that very day and she will be named after me Emma Louise, so winning you're wonderful give-away would be the icing on the cake ! Of course the icing would be in the form of trims, chenille, laces etc. in what else ,any shade of red, mauve, burgundy for girlie things ! Thankyou.........posting on my facebook page. Thank you and congratulations on the big event!! Ich möchte gerne am 14. gratulieren, habe aber auf Dein Geburtstags Giveawy auf meinem Blog aufmerksam gemacht. My favorite things are floss and 18 count Aida. My favorite colors are blues and purples. Happy birthday coming up! Here's hoping you have a wonderfull day. - Well, this anticipation should get it bubbling nicely! My favourite things.... I would have to say, the linen. 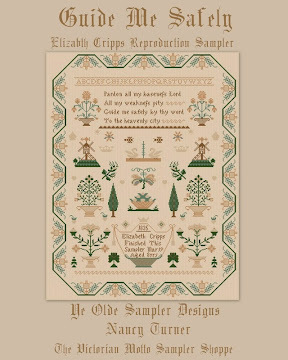 The antique champagne which I did your sampler on was just the best. And my favourite colour: red!!! I do love to share! Happy Birthday! My son will turn 14 on the 15th of this month. Hope your day will be wonderful! Thank you and I hope your son has a great birthday too! Happy Birthday! I love floss and blue is my favorite color! You have such a generous spirit! Thank you! Wishing you the happiest of birthdays, Nancy! Please enter me in your (very generous, as always;) contest. Thank you so much! It's going to be a great day!